and industrial automation in a variety of industries. Read more about our company below. 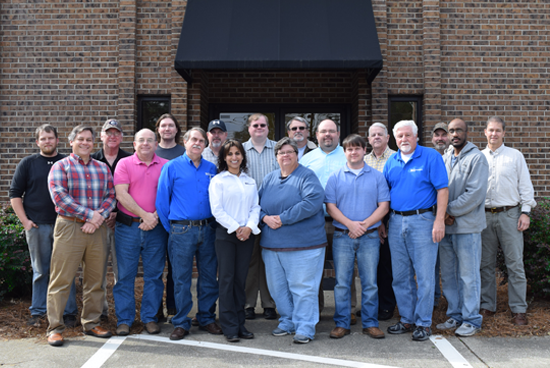 In 1978, R&L Engineering, Inc. was established as a technical service provider. Within a few years, our company has expanded to include engineering services, system integration and equipment manufacturing. By 1985, our growth required us to move to our current location in Albany, Georgia, from which we have expanded to over thirty thousand square feet of office and manufacturing space. Over the past thirty years, R&L Engineering has partnered with a variety of companies to provide unique solutions. We have also provided services and equipment to multiple countries, apart from the United States, including: Argentina, Australia, Brazil, Canada, Colombia, Iceland, Italy, Japan, Mexico and New Zealand. Today R&L Engineering continues to strive to be a diverse, detail driven engineering, design and technical provider, dedicated to providing our clients the best solutions available. R&L Engineering, Inc. is a diversified engineering company specializing in systems design, systems integration, controls, process automation, software development, and data acquisition in a variety of industries. Our expansive expertise is the result of successful work in the bioenergy, citrus processing, correctional facilities, food and beverage, forest products, nonwovens, pulp and paper, and textile industries. These endeavors have ranged from modest upgrades to multi-million dollar design and build projects. R&L Engineering produces a variety of specialized machines and subsystems for commercial applications as well as proprietary development of patented systems for constantly expanding groups of domestic and international customers. R&L is recognized as a quick response, innovative solution provider with a worldwide client base.